It was 11th of July 2005 when gunmen raided the home of former Somali Olympic committee vice president and peace campaigner Abdulkader Yahye Sheik Ali at mi night and cruelly killed him. 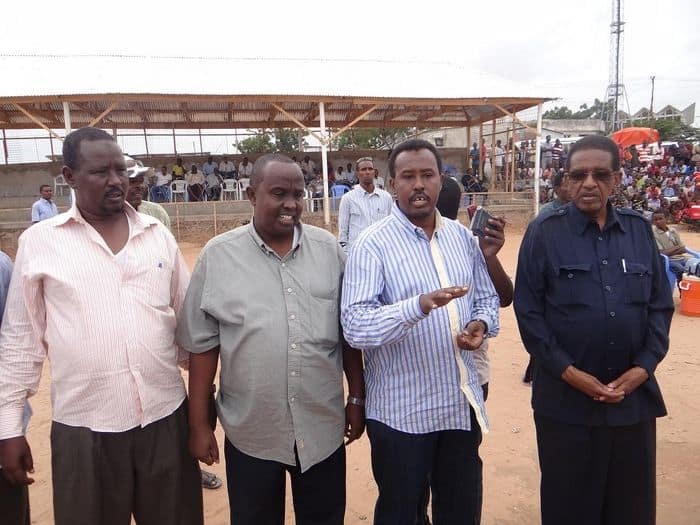 Somali football federation and the Centre for peace and Dialogue (CRD) on Wednesday honored the late peace campaigner with a football match. 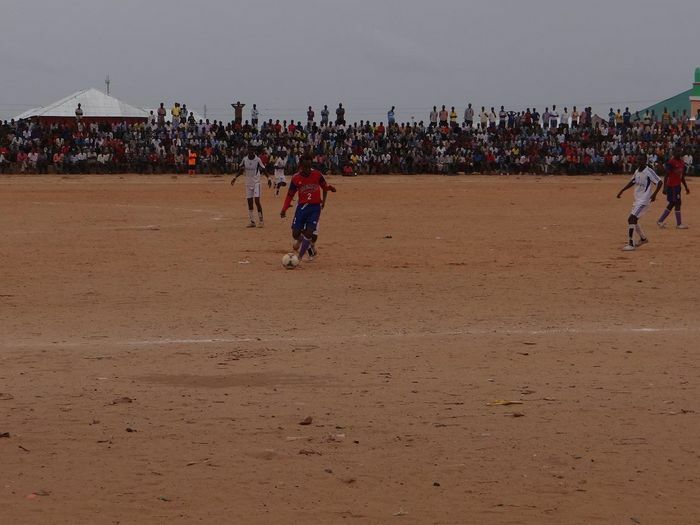 As scheduled the Somali football league A match was between FC Ports and Jeenyo. 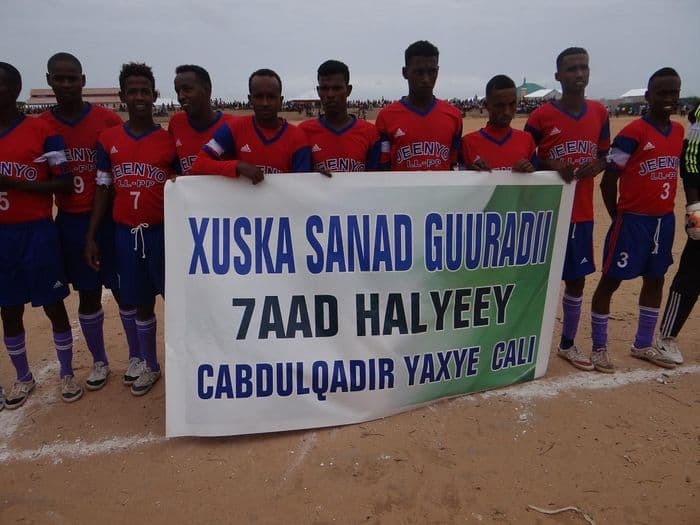 During the match there was a trophy intended to award with the team who wins the match as kind of remembering former Somali NOC vice president and the co-founder of the Centre for peace and dialogue Abdulkader yahye Sheik Ali Ibaar. “Today’s match is to remember our late brother and in the other respect it is a match of the on going Somali Football division A championship,” Somali Football Federation secretary General Abdi Qani Said Arab told the media before Wednesday’s match kick off. 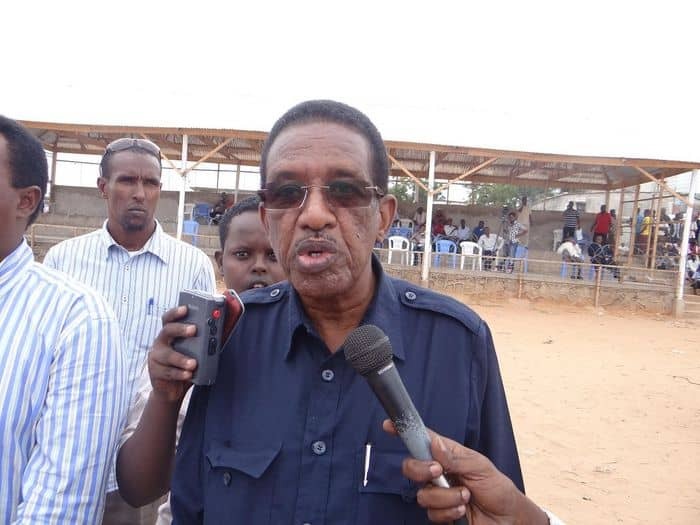 State minister for youth and sports Prof Abdullahi Sheik Ali also said the late peace campaigner is still remembered with his great personality in the promotion of sport in the war-ravaged country and that is why Somali sporting community is still honoring him. However, the Wednesday’s hotly-contested match ended in 1-1 draw. The FC ports won in penalties by 5-4 and won the memorial trophy of the late peace campaigner Abdulkader Yahye Sheik Ali. 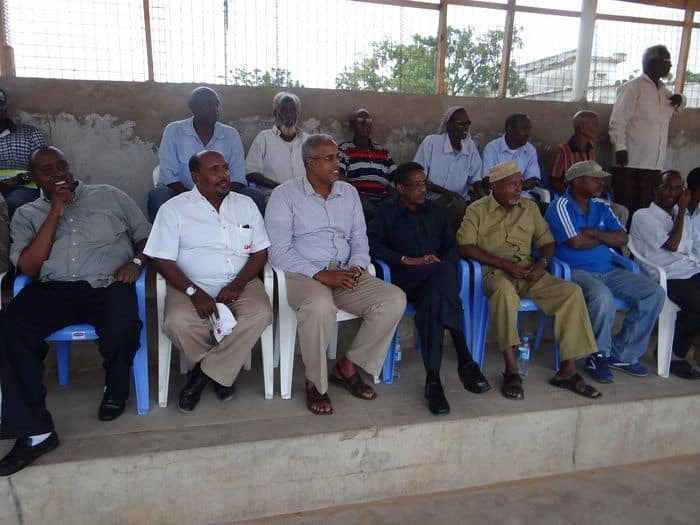 Many government and sporting dignitaries watched the match which include: state minister for youth and Sport Prof Abdullahi Sheik Ali, former Somali national basketball team captain and current state minister for ports, marine land and air transportations Said Jama Qorshel, diplomat Mohamed Ahmed Alim, law maker Abdi Naser Said Seef, Somali Football Federation deputy president Abdullahi Abow Hussein, Secretary General Abdi Qani Said Arab, CRD official Abdi Sheik Doon Nageeye and other officials.